If you haven’t already woken up to the value of kimchi, saurkraut, kombucha, yogurt, kefir and other fermented foods then there is no time to waste in adding these valuable nutrient-rich foods to your diet. The healthiest people on the planet have a diverse microbiome where hundreds of species can keep each other in check and help to digest food, take care of the gut lining, look after the immune system and help in the production of neurotransmitters essential for brain function. Fermented foods offer many strains of beneficial bacteria (probiotics) to assist digestion and for that reason have been traditionally used as a condiment in Europe, Asia and Middle East. These little critters are also available via powders and capsules in a variety of species from your health food store (most commonly lactobacillus and bifidobacteria). If you want to naturally encourage the growth of beneficial gut bacteria that keep the pathogenic toxin and acid-promoting microorganisms under control, it’s best to avoid antibiotics or limit their use, avoid chemicalised over-processed foods and eat plenty of fresh vegetables (raw or cooked – but don’t over-cook), which are our ‘prebiotics’. Of course, make sure you also have a good supply of magnesium! If you have acidosis, GERD or reflux it could be that your stomach acid production is too low, a condition called ‘hypochlorhydria’. It’s common with people who have hypothyroid conditions. 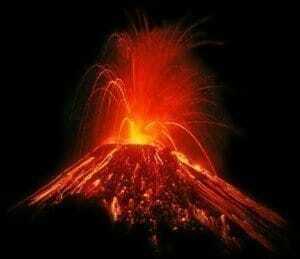 The symptoms can get very painful with stabbing pains under the ribs and near the heart until you manage to expel the pressure-building gasses like a volcanic eruption. If you have been struggling with digesting your meal for quite some time a level teaspoon of bicarbonate of soda in a glass of water can work wonders to neutralise the acid and restore peace. However it’s not advisable to consume this alkaline drink just before your meal because this is the time to be building stomach acid to digest the food. You don’t want to cancel that out. Dr Batmanghelidj wrote in his book ‘Your Body’s Many Cries for Water’ that drinking a glass of water half an hour before a meal helps your body prepare more stomach acid for digestion. In addition to the water, the body also uses vitamins K and B, iodine, zinc, magnesium and chloride to make stomach acid. When food takes too long to digest and pass out of the stomach it can start to ferment, causing excessive gas and belching. Be careful not to mix grains or stodgy starches like potatoes with meat proteins in your stomach unless cooked slow and low in a soup, which makes the meat softer and easier to digest. Otherwise, salads go best with meats because they are watery and full of digestive enzymes that help the meat digest faster. They are also not as likely to produce fermentation sugars. Meat takes the most acid to digest and the longest digestion time, whereas starches and grains are digested faster than meat. As the stomach won’t empty its contents until the chyme has reached a certain level of mastication, the stomach contents can hang around too long with the starches and grains starting to ferment and produce excessive gas. Combinations of root vegetables, peas and beans can be eaten with watery veges and/or grains like rice, quinoa etc, but avoid combining the grains and starches with meat in the same meal. If proteins are not fully digested they can cause inflammatory or allergic reactions because the body doesn’t recognise the proteins as its own. Ideally proteins are broken down to amino acids and re-assembled by our body as its own proteins. Another problem from low stomach acid is that pathogenic bacteria in the food may not be killed because that needs stomach acid to go down to 2pH. This can lead to Small Intestine Bacterial Overgrowth (SIBO) and requires specialised probiotic treatment and strict diet to correct. In this case it’s best to reduce meat consumption to ease the burden. You can also add digestive enzymes like betain hydrochloride (from health food store) to your protein meals until the digestive system is normalised again. Getting your digestion right can be quite a balancing and juggling act. The older we get the less stomach acid we make that is low enough in pH for effective protein digestion – and the more ‘help’ we need. Efficient digestion is essential to extract and use the nutrients in the foods we eat. So many people are eating a lot of food, but end up nutritionally starved if stomach acid production is weak. If you need a good cleanse, nothing beats vegetables exclusively for a short time to give the digestive system a rest and chance to detox and clean out wastes. A nutritionist can help you with designing a good diet that nurtures gut health or you can check out Pete Evans’ recipe books or others like the GAPS book by Natasha Campbell-McBride. Those exposed to excessive and over-processed GMO grains have increasing trouble digesting those carbohydrates as the gut microbiome becomes compromised. 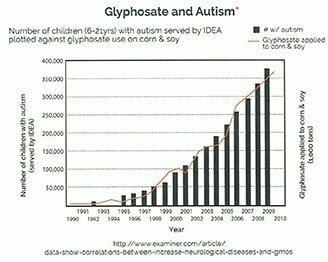 Researcher scientists are now following the trail of the pesticide glyphosate, as it has been shown to disturb the healthy microbiome, is associated with autism and other digestive and auto-immune disorders, and has become ubiquitous in our food supply – particularly in wheat products. Gut and digestion issues don’t arise just because of the gluten in grain products, but adverse reactions can also be caused by gluten-free wheat products – especially for those with inflammatory bowel conditions. 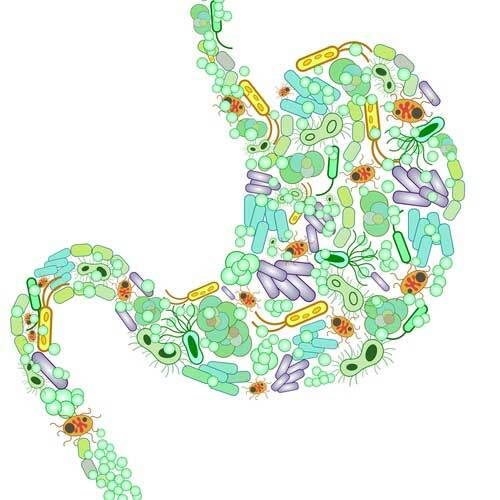 The bigger the digestive issues the more likely it is that the microbiome is not in balance and we don’t have enough of the beneficial bacteria. Beneficial bacteria tend to favour a more alkaline environment and the toxin-producing bacteria and fungi tend to favour a more acidic condition. They prefer more sugar because sugar metabolism by-products promote acidity – which in turn promotes proliferation of the bad guys producing acids and toxic by-products that damage the gut wall and get access to the interior of the body – ie. blood stream and tissue cells. This is when the deleterious effects of the pollution start to bite! The gut wall is sensitive and can only absorb a dilute amount of magnesium, as would be in mineral waters and natural foods. If you try to eat more magnesium-containing foods, and your magnesium needs are high, you could end up over-eating. If stomach acid is too low you may not be able to extract enough magnesium from magnesium-containing foods. Magnesium-rich foods may also not have all the magnesium available for absorption if they are high in oxalates which bind up the magnesium. Magnesium supplement tablets and powders typically contain more magnesium than can be digested and absorbed via the gut wall or may have fillers and binders limiting magnesium absorption, which means most of what is consumed will be expelled in the stool. Oral supplements can also cause bowel irritation and diarrhea. What is the solution to getting optimal magnesium? Transdermal absorption of magnesium chloride dissolved salts is the best way to absorb large amounts of magnesium naturally, as no digestion of tablets is required. Magnesium ions can be taken up easily, quickly and much more effectively, with calming effects being felt within minutes of massaging into skin or soaking in a hot magnesium solution footsoak or bath. These methods use the same dermal pathways as when we perspire and electrolytes are released from the skin. The skin is also capable of absorbing electrolytes back in as long as they are in the right form (ie. dissolved ionised magnesium chloride). You can do it by swimming in the ocean, bathing in mineral rich hot springs and baths, or you can apply Magnesium Cream, Lotion or Oil topically. See STUDY – Magnesium Cream. For more information about Transdermal Magnesium read the Blog article: Transdermal Magnesium – Myth or Reality?